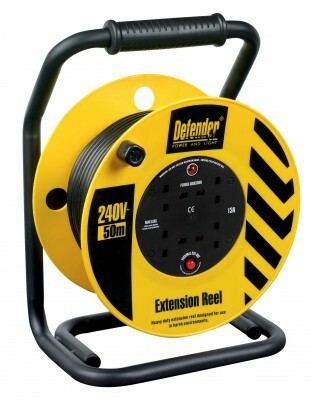 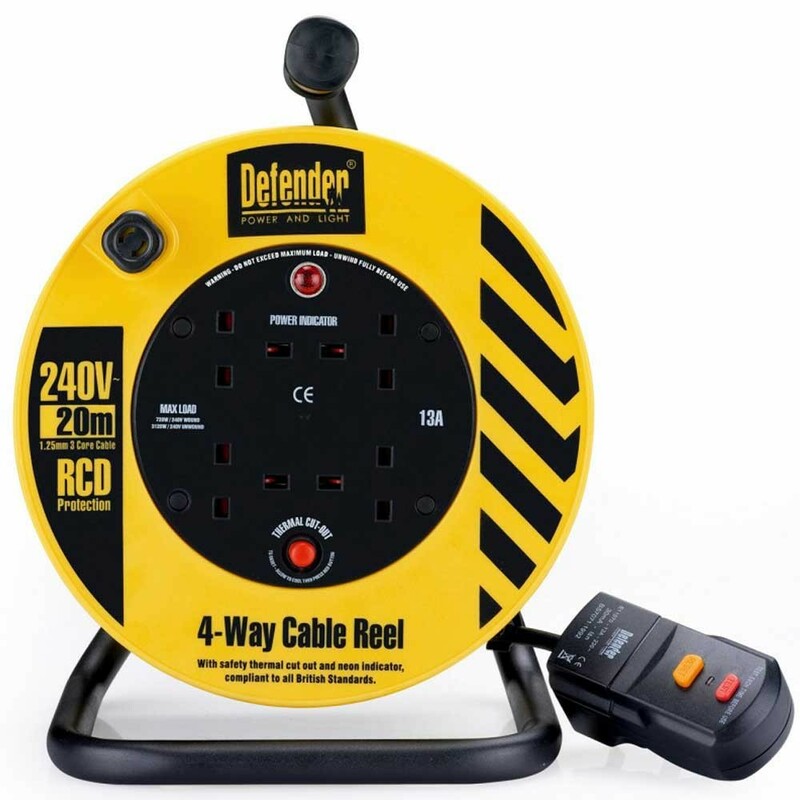 Defender E86470 20m 240volt Light Industrial cable reel. 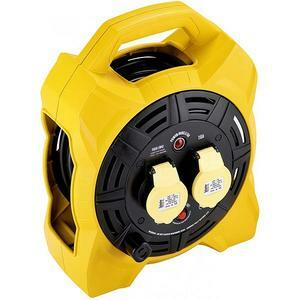 16amp , 2 way, 1.5mm cable. 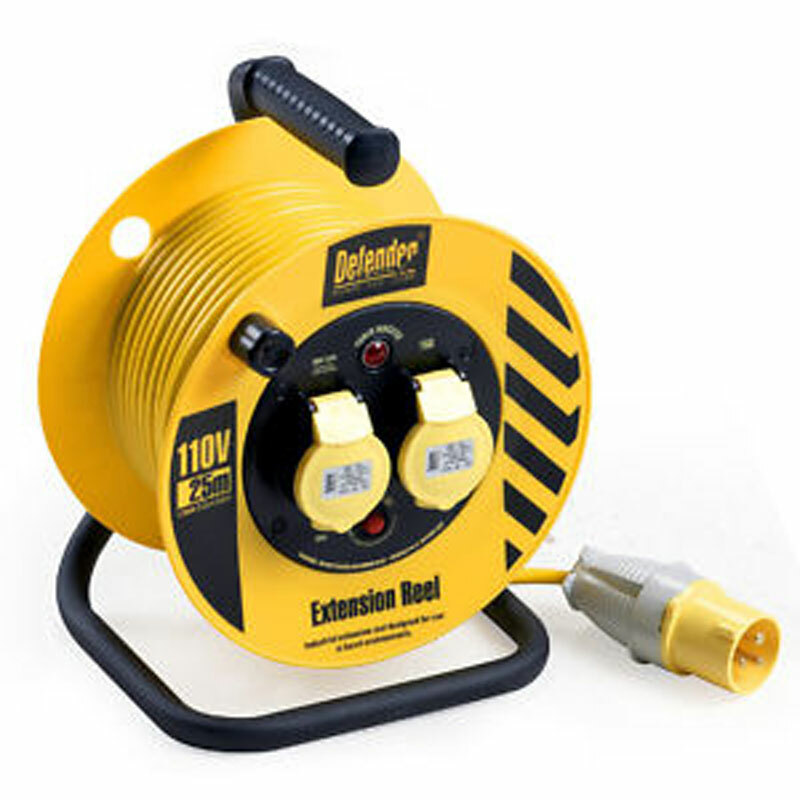 extension lead. 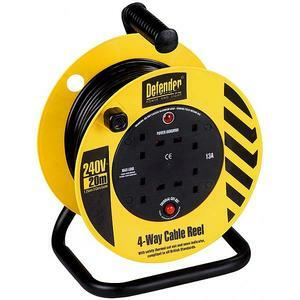 16amp , 2 way, 2.5mm cable. 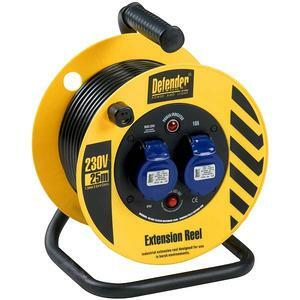 extension lead.